FORT MYERS, Fla. (October 28, 2008) — The Canadian Brass will be performing as the first concert in the 2008-2009 Fine and Performing Arts Concert Series in the Village Church Auditorium at Shell Point. The event is open to the public and will be held at 7:30pm on Thursday, November 13. Dawn Boren, director of resident life, announced that there are a total of five performances that make up the 2008-2009 Fine and Performing Arts Concert Series. FORT MYERS, Fla. (October 23, 2008) — Shell Point Retirement Community will host an Assisted Living Open House on Saturday, November 1, from 9 am to 3 pm at the Arbor Assisted Living located in the Woodlands at Shell Point. FORT MYERS, Fla. (October 22, 2008) — The Academy at Shell Point will offer a presentation on “Parkinson Genetic Research” in the Village Church Auditorium on Tuesday, November 18, 2008. The event is open to the public and will begin at 7pm, and features Adriana Martinez, RN, BSN, a Clinical Project Manager at the University of Miami Institute for Human Genomics. This presentation will focus on both the environmental and genetic changes that contribute to the development of Parkinson disease. Learn about the state-of-the-art genetic research that is being conducted at the Miami Institute for Human Genomics to discover genetic factors that contribute to the cause of Parkinson disease. Martinez will also discuss gene-environment interaction and how individuals can become involved in cutting edge studies on this topic. FORT MYERS, Fla. (October 14, 2008) — The annual Shell Point Open Golf Tournament, presented by the Legacy Foundation at Shell Point, will be held this year to raise funds for the Memory Care Unit located in the Larsen Pavilion, which offers care to individuals with memory needs in the Southwest Florida area. The tournament will be on Friday, November 7, 2008, at the Shell Point Golf Club in Fort Myers, announced Tim Stephenson, Executive Director of the Legacy Foundation at Shell Point. The tournament registration will begin at 7:30am, and The Scoggins/Moreland Group at Morgan Stanley has graciously offered to be the Title Sponsor for the event. The cost to play in the 2008 Shell Point Open is $125 per person, which includes 18 holes of golf plus cart, player gift bags, prize opportunities, breakfast and lunch. Sam Galloway Ford is presenting a 2008 Ford Mustang as a prize for the player who makes a hole in one on the selected golf hole. Corporate Sponsors include the Alliance Development Fund, Harvey-Englehardt-Metz Funeral Home, and Alisa B. Alexander, CPA. If you are interested in learning more about this tournament, or would like to make a donation to the Memory Care Unit, please contact Linda Driver at (239) 466-8484. The Shell Point Golf Club is an 18-hole Championship Golf Course that opened in 2000. The course offers a grass driving range and practice green, lessons, a fully-stocked pro shop and snack bar, and all the course golf carts are equipped with Uplink GPS monitors. The 13th hole on the Shell Point Golf Club recently was named as one of the Most Beautifully Brutal™ Par 5 Golf Holes in the Southeast Coastal United States. 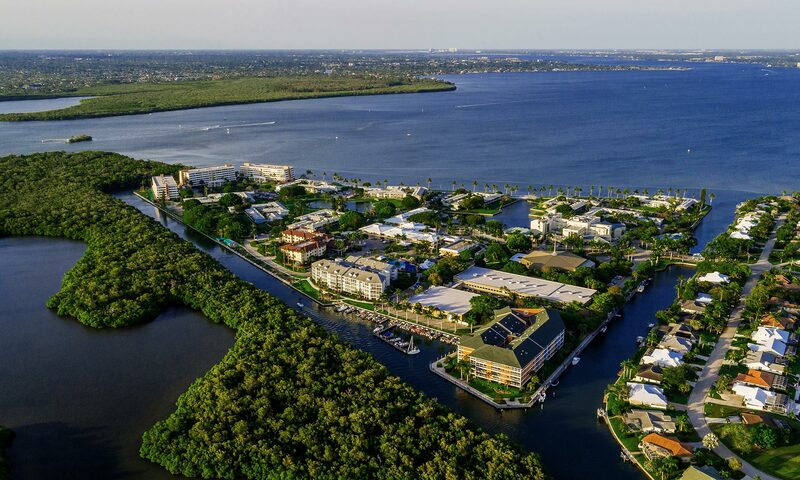 The course is open to the public, and is located at the entrance to Shell Point Retirement Community in Fort Myers, Florida, just off Summerlin Road, two miles before the Sanibel Island Causeway. The Legacy Foundation was founded in 2002 as a non-profit organization serving the Shell Point community. FORT MYERS, Fla. (October 9, 2008) — Steven Morton, Landscape Planner for Shell Point Retirement Community, recently received his Arborist Certification through the International Society of Arboriculture (ISA) and the local Chapter of the ISA. Morton has been with Shell Point since 2005, and in addition to this recent certification, he is a Certified Horticultural Professional and has a license in Pesticide Application for Lawns and Ornamental Plants issued by the State of Florida. The property at Shell Point Retirement Community is comprised of close to 1,000 acres, that of which Morton is in charge of all the landscaping outside of the golf course. He oversees 17 employees in his department, as well as five contract turf-care contractors, and watches over a range of horticultural plants from palms to orchids. FORT MYERS, Fla. (October 1, 2008) — The annual Shell Point Holiday Bazaar will be held on Friday, November 7. Barbara Hilton and Helen Remington, chairpersons of the craft show, are pleased to welcome the public to view and purchase a variety of crafts, art, and jewelry created by the many talented artists at Shell Point. The show will feature: holiday wreathes, handbags, wood workings/carvings, jewelry, books, floral arrangements, and more.